The Common Line as conceptual art project (eg. 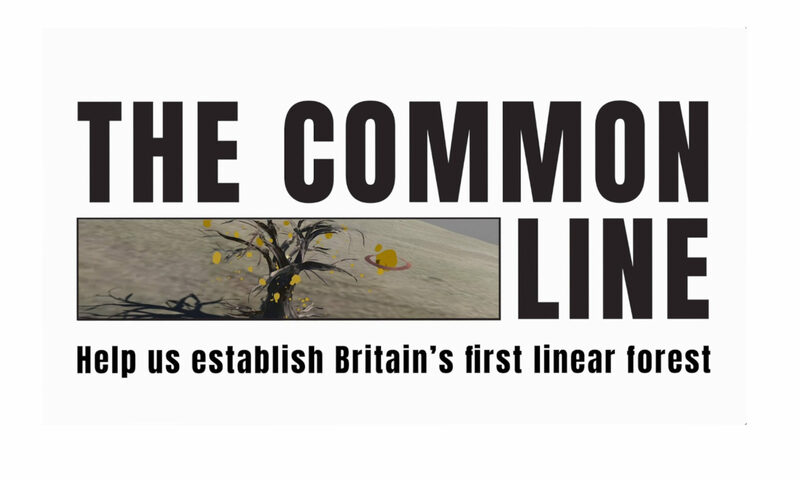 the idea of the line itself as sufficient prompt for thought & discussion) – The Common Line as a kind of land art or earth art (the monumentalism and ecological ethos of this tradition as a crucial context for interpretation) – the ‘re-landscaping’ of Britain achieved by the Line – the imperial, colonial and heternormative implications of the straight line – the absence/presence of The Common Line (it is a ghost haunting the landscape – the ghost of a possibility, of a future yet to come) – the Line as skewer; Britain kebabed – The Common Line as measurant – not just like a ruler, but as a thermometer, taking the temperature of the landscape. Conventionally, a contrast betwen the lived and abstract, with the abstract being associated with a ‘pointillistic’ imagination, with calcullation and measure, with the cartographic perspective, with the rational. Conversely the lived appears as sensuous, more-than-visual, subjective, embedded rather than anywhere etc. Here, we enter an experiential field wherein the satellite grid of location and distance *is* the stage of encounter. The phonescreen as both window and filter. The phonescreen as fascinator, adornment. The phenomenologies of location and dislocation – the body and the environment – the little dance – the differences between birds-eye and ground level perspectives. Location, orientation, emplacement. The life points (the points are incipient lifelines) – the conviviality of The Line – the value of two and three (and more) – the loneliness and uncertainty of a singular encounter with the line. The sound of The Line. 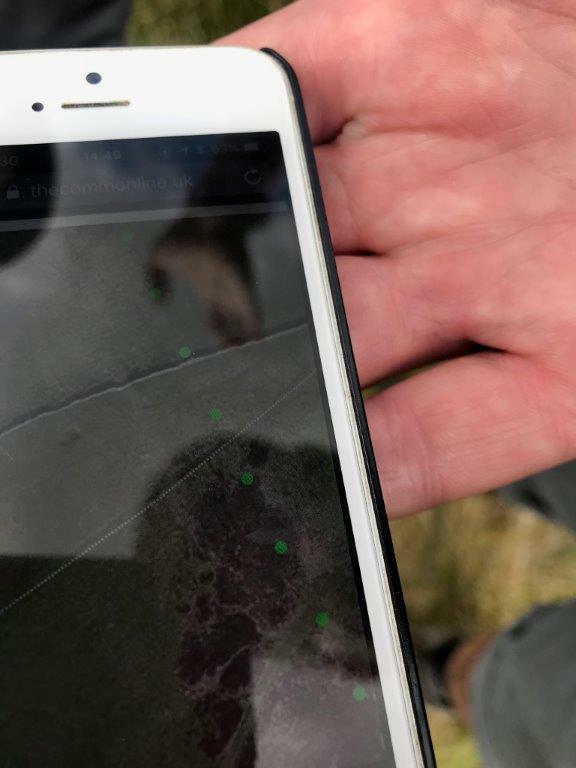 Who owns the landscape? Who is responsible for it? Who cares? The ‘commonality’ of the line. What kind of commons, what kind of commonality? Jean-Luc Nancy and being-with, being-singular-plural, The Line as both shared and divided. The dangers of ‘community’. But also the possiblility of a kind of ‘landscape citizenship’ activated by the line. How is this different from other such forms of citizenship? The commonality of human and non-human. The line as living thing. The devastated landscape of Cumbria, as bald as Bobby Charlton – the politics of landscape as stewardship and care – the temporalities of the line (multiple and far-reaching).